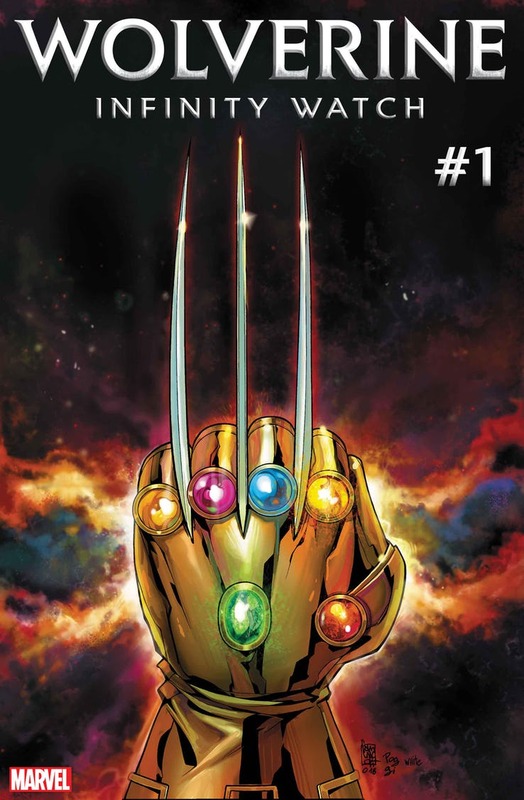 Following Logan having returned with the Space Gem in last year's Marvel Legacy, as if adamantium claws aren't enough (or heated ones for that matter), now the full Infinity Gauntlet is teased for Wolverine. Marvel Comics announces Wolverine: Infinity Watch from writer Gerry Duggan and artist Andy MacDonald for February 2019. Marvel.com offered: Writer Gerry Duggan and artist Andy MacDonald present the answers you seek as Logan ventures out alongside everyone’s favorite god of lies and stories, Loki Laufeyson! "…THE NEW COSMIC STATUS QUO WILL DEMAND...WATCHING…" teases Duggan. Will Feige "Captain Marvel" The X-Men?